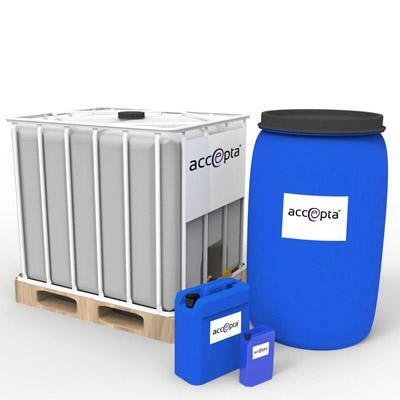 Accepta 2320 is a high performance, combined scale and corrosion inhibitor for boilers & closed heating systems scientifically formulated for the treatment of boiler water systems & Closed Loop heating systems. Accepta 2320 comprises a blended liquid formulation based on organic tannin, polymer sludge conditioners and alkali. Accepta 2320 does not add substantially to the boiler water alkalinity, and hence is an ideal treatment for boilers which are susceptible to foam formation. Excellent tannin based scale and corrosion inhibitor for boilers. Does not add substantially to boiler water alkalinity. The dosage of Accepta 2320 depends on such variables as feedwater temperature, boiler blowdown and work load, and will be advised Accepta’s product specialists.